Fell July 6, 2007 at ~4:30 PM. At ~4:30 PM on July 6th, 2007, a massive fireball appeared over the Cordillera Occidental (Western range of the Andes mountains) just north of the Calima lake. As it appeared, it quickly broke into two large pieces heading south. After a couple of seconds, a sonic boom reverberated over the mountains and upper Cauca Valley. People in the affected area said that the explosions were so strong they shook the ground and homes so badly that they thought they might collapse. Windows in Restrepo, Darien, and Yotoco were shattered by the force of the sonic boom! The bolide passed just to the east of the town of Restropo, where it exploded into a massive cloud of smoke and fire and continued to the south, towards the city of Cali more than 50 km away. Eyewitnesses suggest that the body exploded at least three times, all three causing loud thundering booms. 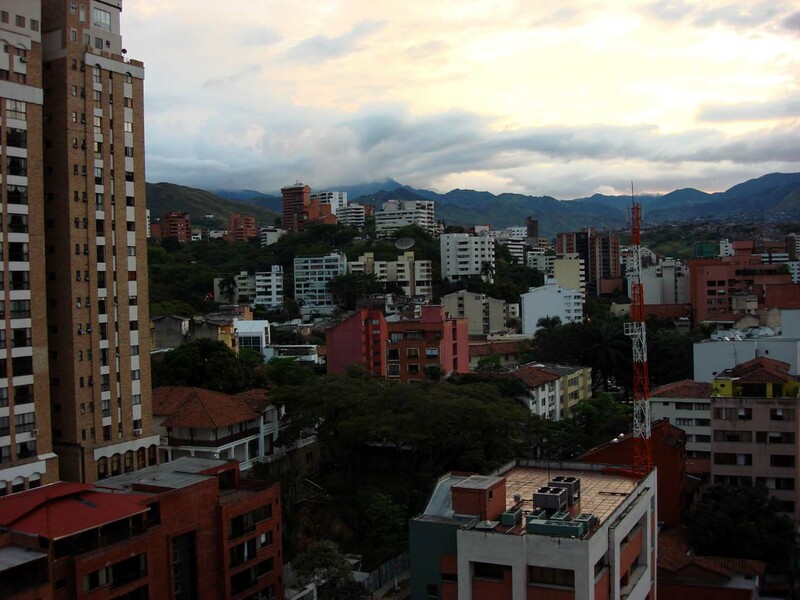 Only a minute or two later, in the slums on the outskirts of Cali, a shower of stones pelted the Barrios of Mariano Ramos, Laureano Gomez, Ciudad Cordoba, and Antonio Narino. 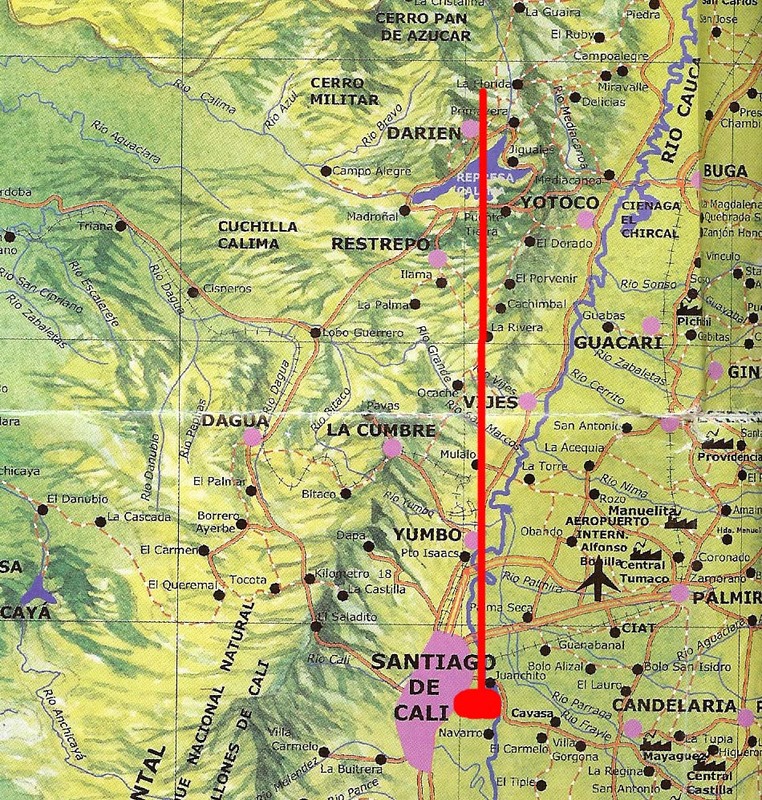 People in the city of Cali reported seeing a smoke trail and flashes to the north of the city over the Andes mountains, and hearing several rumbles that resembled thunderclaps. The actual fireball was nearly invisible to them however, as it was heading directly toward the city. People in the Cauca Valley to the east of the city did see the fireball traveling from north to south very clearly. In the densely populated area where the meteorites landed, four homes were impacted by meteorites, and three other pieces have been found in the streets. It is clear that hundreds if not more stones should have fallen, but the direction of travel takes the strewnfield directly into the giant municipal garbage dump, and sugarcane fields which are flooded with water and extremely dense vegetation. As of now, the end of September 2007, I have been to Colombia four separate times documenting this meteorite fall and acquiring pieces. This includes one trip to buy a piece which turned out to be a fake when I arrived. In this map, you can see that the meteorite entered the atmosphere just north of Darien, and impacted on the East side of Cali. The flight-path is over 60 km long from entry to impact. This is a view of the north side of Cali from my hotel room. Note the Andes mountains in the background. The meteorite came in from the north, over the mountains, heading to the south, where it impacted the southeastern barrios of the city. 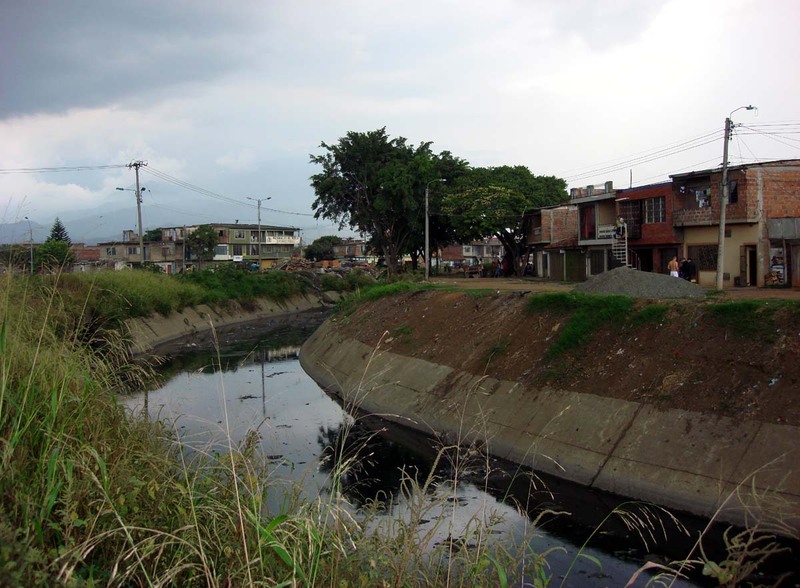 This photo shows an open sewer in the area of Laureano Gomez, one of the poor areas that the meteorite landed in. These barrios are the poorest section of the city of Cali. 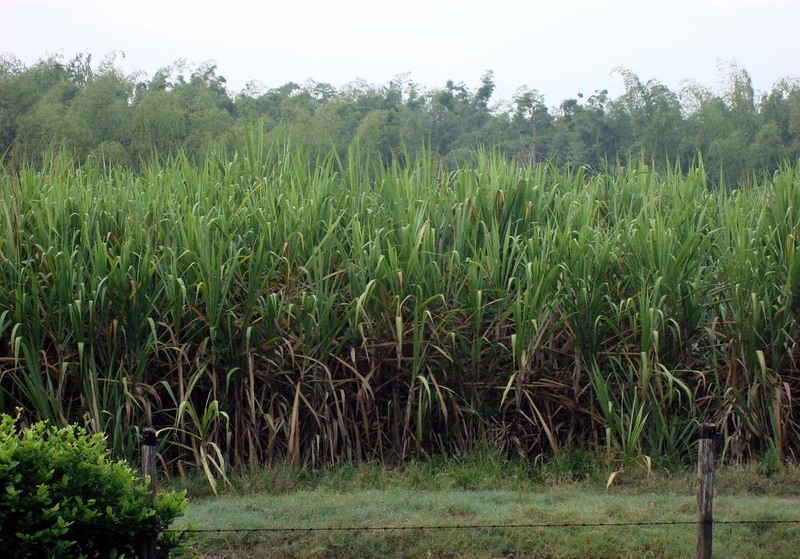 This photo shows sugarcane fields that dominate the strewnfield. The meteorites which were recovered were all on the edge of the city. The flight-path puts the strewnfield extending south by southeast of the recovered pieces. This means that it all went into the city garbage dump and cane fields like one above. It would be absolutely impossible to search and find pieces there, so I believe that virtually all of this meteorite will never be found. 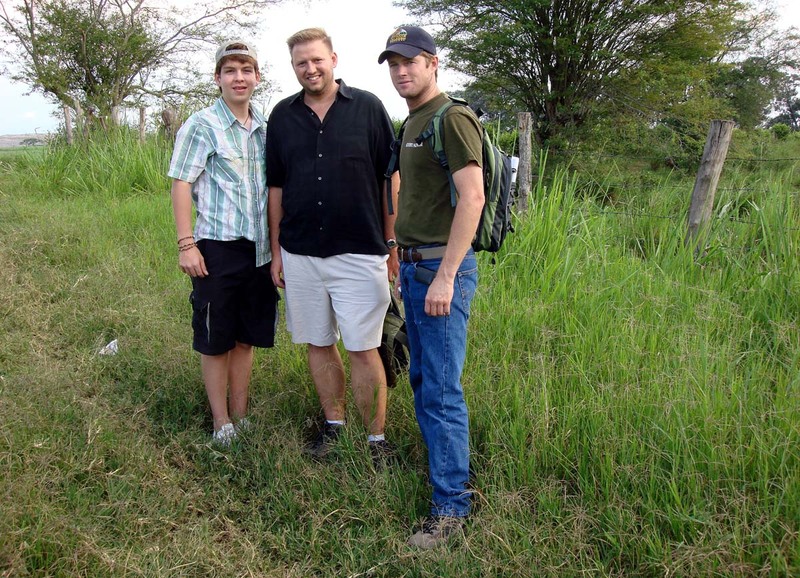 Pictured are the tres amigos, Robert Ward on the right, my friend Andres Osorio from Barranquilla Colombia on the left , and myself in the center in the Cali Strewnfield. This is not exactly prime meteorite hunting ground. Impact! 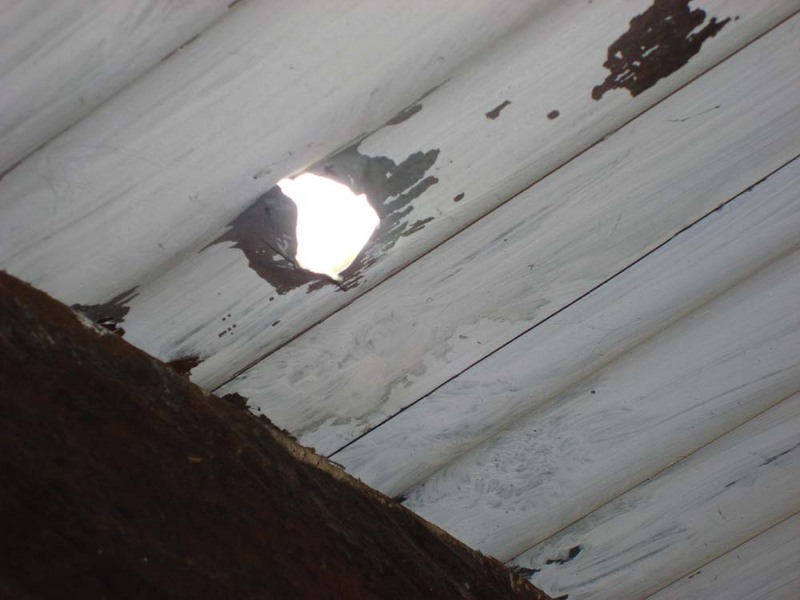 This metal rooftop was penetrated by a meteorite. I am now the proud owner of much of this meteorite and the actual rooftop, I cut it out and brought it back to Arizona with me. 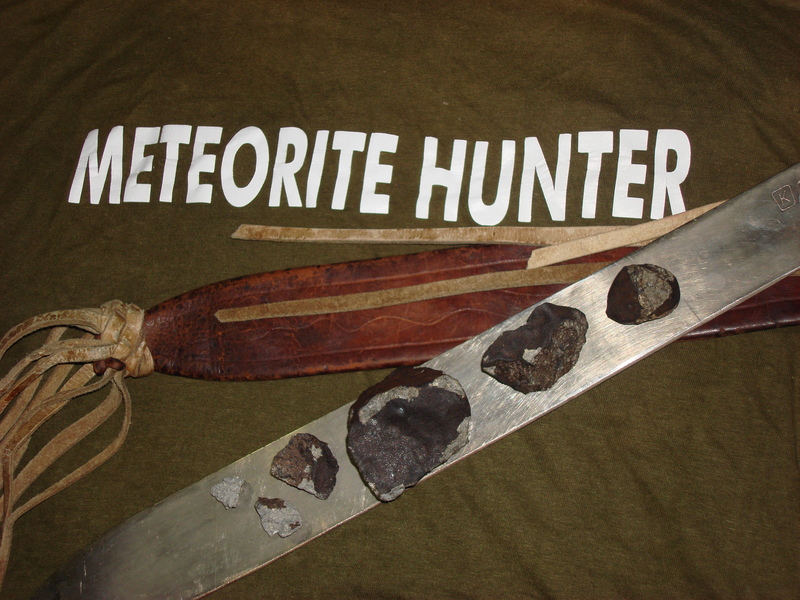 And finally, we get to the good stuff, the meteorites themselves! This photo is of all of the pieces of the Cali meteorite that Robert and I recovered. Every piece except the far right hand stone are all house "hammer stones", meaning that they all three hit and penetrated the rooftops of homes in Cali. The following links will take you to pages devoted to each of the known stones, and all information about them.